I have said on occasion — not that it comes up in conversation that much — that if I could live in any time and place, I would choose California in the Fifties. Oh, there would certainly be drawbacks. There are for any period. But for a surfer that would be the perfect time. The surfboard was finally being perfected; that is, the fiberglass construction still in use was introduced. 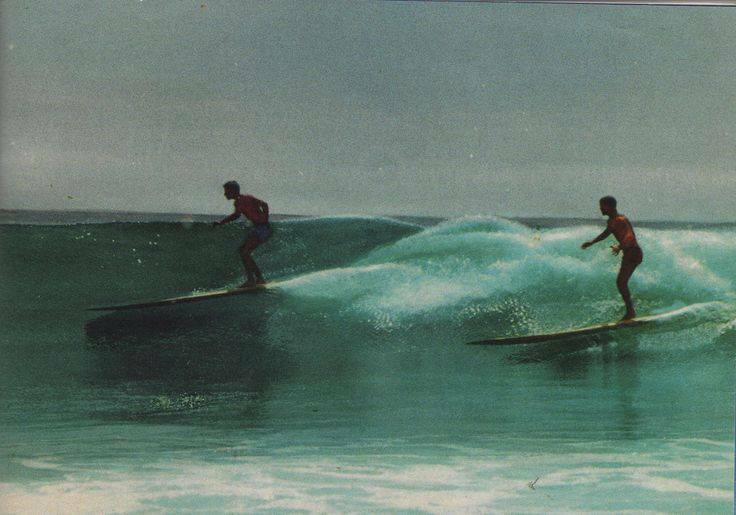 Boards were fitted with fins as a regular feature, making for a rather radical change in the way they were ridden. Yes, they were still long but weights dropped to an half or even a third of surfboards from the wood construction era. And there were no crowds in the water. A decade later, the surfer population boomed and has continued to grow. One could slide across a Malibu wave back then without competing with a dozen other riders for the privilege. Fifties California was certainly no utopia. It was one time in history like any other, with its good and its bad, and time travel works one direction only, as we all keep moving to the future. Times change; that’s the one constant (and, yes, a cliché). What does any of this have to do with anything? Maybe nothing. Maybe it’s but nostalgia for an era just slightly before my time. But it is also an exercise in imagination and in understanding — things that are important to creativity of any sort. I know why I would choose that time and place. I recognize why it would call to me. Or any other time and place, even an imaginary one. It is all well to dream, to leave the aura of mystery about such things, but it is also useful to understand the dream, at least in part. That is the starting point to creating our own realities, in paint, in words. And maybe someday I’ll even write a novel set in California in the Fifties, or maybe I won’t. That doesn’t matter much; I have plenty of other worlds to explore!